In early 2005 on her arrival to USA Vasudha found that people were suffering with various health issues here which could be helped by Ayurveda. She helped people with similar health issues routinely in india with pure Ayurvedic herbal formulations. She also observed that the education, services and products made available in the name of Ayurveda were not even close to Ayurveda and it was really difficult to find an qualified and experienced Ayurveda Consultant in USA. 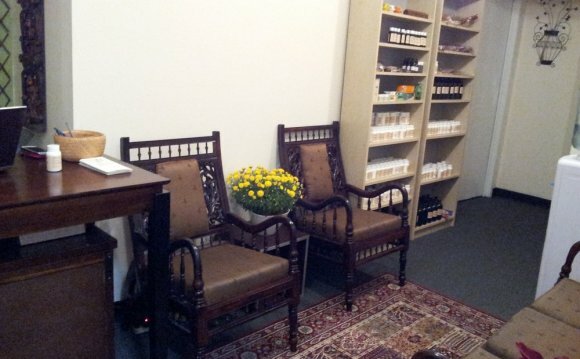 With a view to offer authentic Ayurveda services and products she helped establish American Ayurveda in September 2005. She also helped in creating the website to spread the word of Ayurveda around the world. In due course of time she has developed a range of products which she has formulated and found effective for various health conditions. Vasudha holds a Bachelor's Degree in Ayurvedic Medicine and Surgery from Mumbai University (India). She is an expert Pulse reader and a Master herbalist. During her graduation she participated in research work of formulating and testing Herbal formulations on various women's health conditions under her Professor's guidance. She learnt to read and write Sanskrit to read and interpret original Ayurveda Texts. Though she was trained in both Modern Medicine as well as Herbal Medicine she strictly practices Herbal Medicine. She prefers formulating the herbal remedies herself picking the best quality herbs and mixing them in just the right proportion.